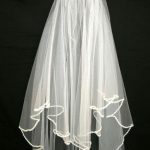 2 tier white fine tulle veil with white bugle and pearl beads along edge of fabric. 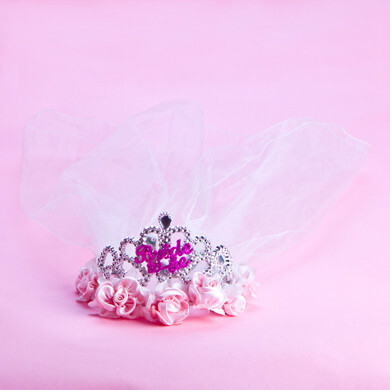 Includes a clear plastic hair comb. Veil length on longest tier is approximately 70cm. 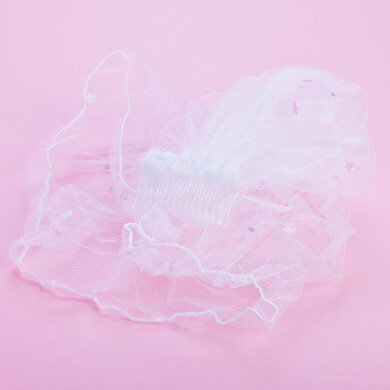 A tulle veil with silver diamonds and hot pink stars scattered all over. Comes with attached comb for easy attachment.